Scout (Hooch & Tia) was born in 2009. 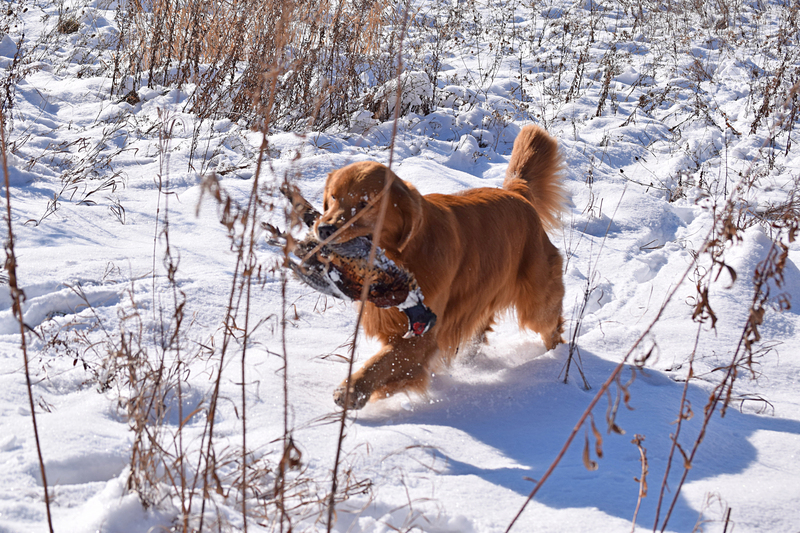 Scout has a life of hunting, camping in the mountains and by the lakes and some fun on the ski hills of Vermont! 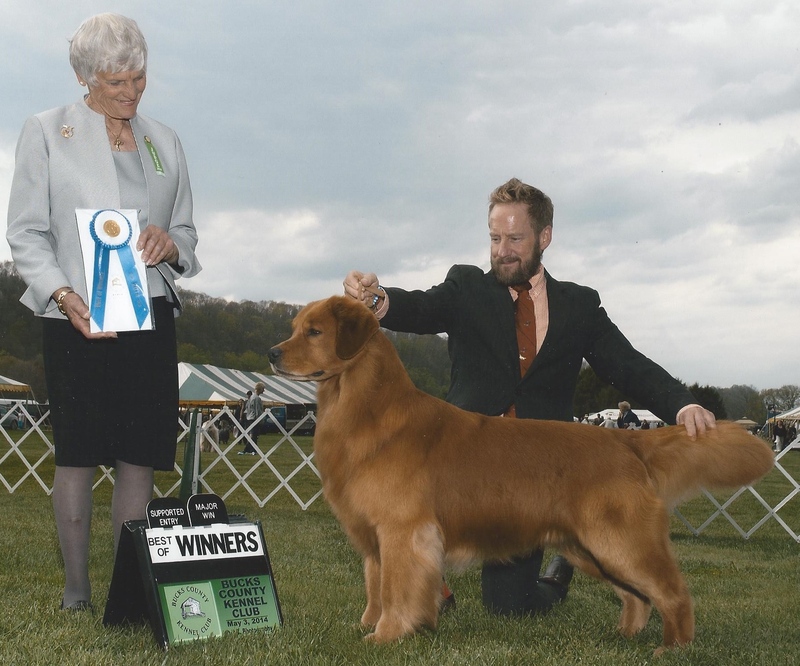 In Feb 2014 Scout put on a show lead and soon found himself going to dog shows. 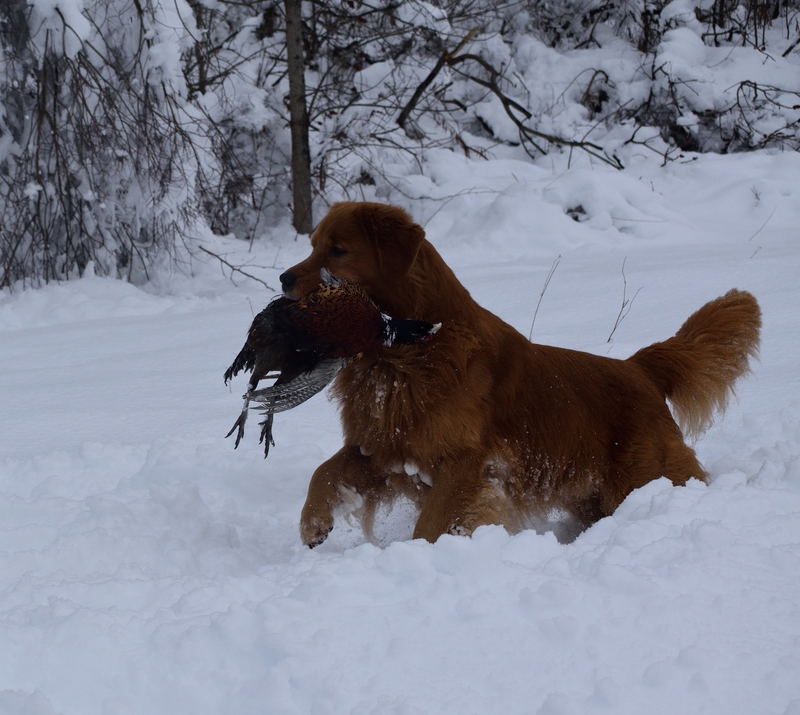 With limited showing in 2014 Scout managed to take home some impressive wins . Scout has up to date health clearances and has been produced some lovely off spring. 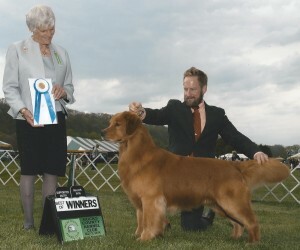 Scout’s temperament exemplifies what a golden is all about, solid, stable and above all, happy.